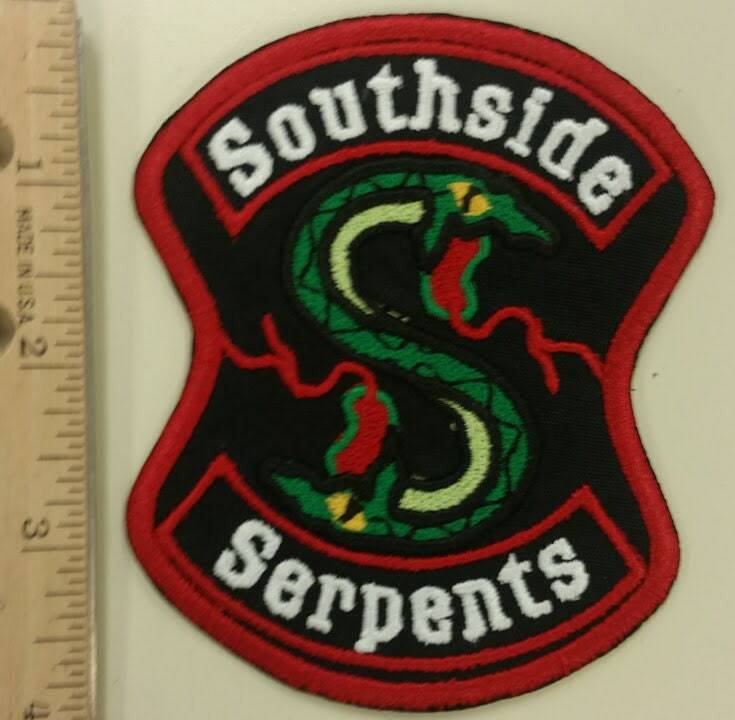 This cool Riverdale inspired patch is sewn onto a black patch background with red, kelly green, yellowgold and white thread. 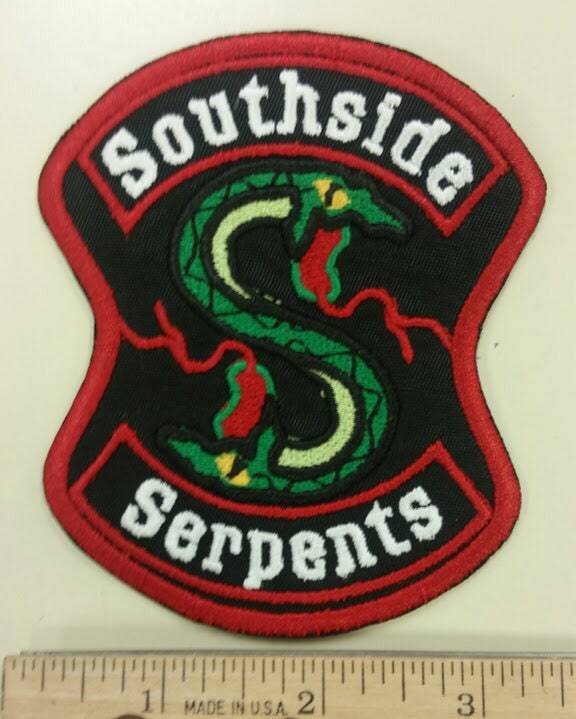 It measures approximately 3.5"W X 4"H. It has an iron on adhesive to help with application. 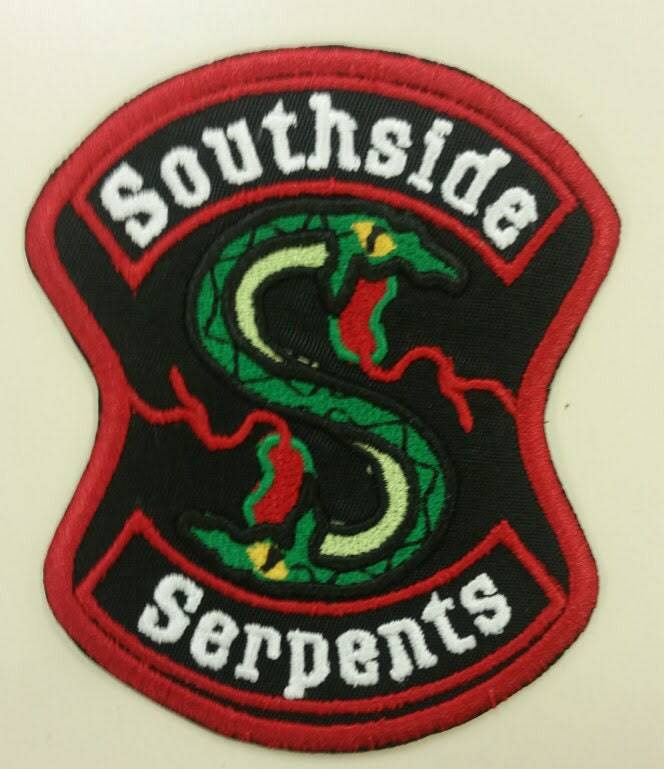 Love this patch, it’s proudly emblazoned on the arm of my battle jacket!